Tom and Christy came to us with their dog Floki, a Korean Jindo. Floki was very scared. As a result, they weren’t able to take him for a walk because he didn’t want to be touched. Floki came from a Korean farm where he was abused. 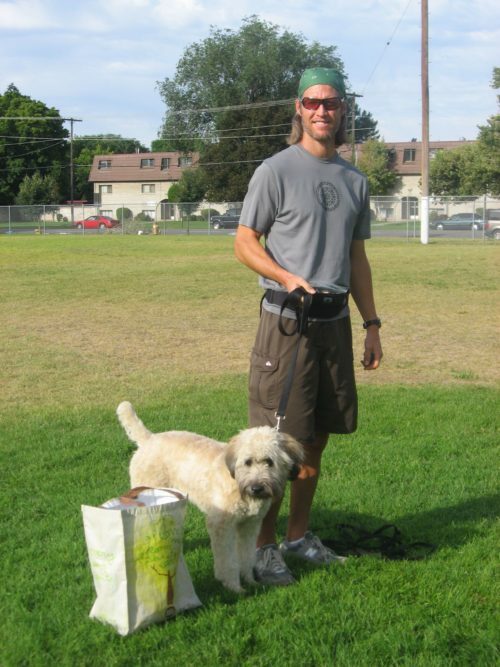 The owners were very dedicated to help Floki, as a result, they purchased twelve sessions to do Salt Lake City dog training with us. 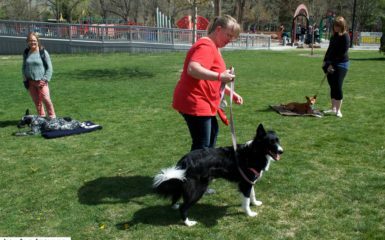 Alyssa, our trainer partner with Four Legged Scholars LLC, spent much time helping Floki gain trust with his new family. Because his fear was high the approximations of getting his collar on were slow but always predicted something positive with treats. As a result, the owner learned how to interact in a way so that Floki could feel more comfortable with putting on his collar. Floki learned to stick his nose through the collar to get cheese. Soon he will put his whole head through and they will be going on leash walks. This is huge progress for him since the owners could barley touch him to get even get his nose through the collar. Also with Four Legged Scholars LLC, Salt Lake City Dog Training, we worked on getting him to be comfortable with being touched. The owners spent time doing small approximations of petting and touching which predicted treats. Training “target” helped alot because Floki learned that hands meant good things. He has become so much more friendly and trusting toward his owners. Floki was also fighting with their other dog, Penny, an Ausralian Shepherd. 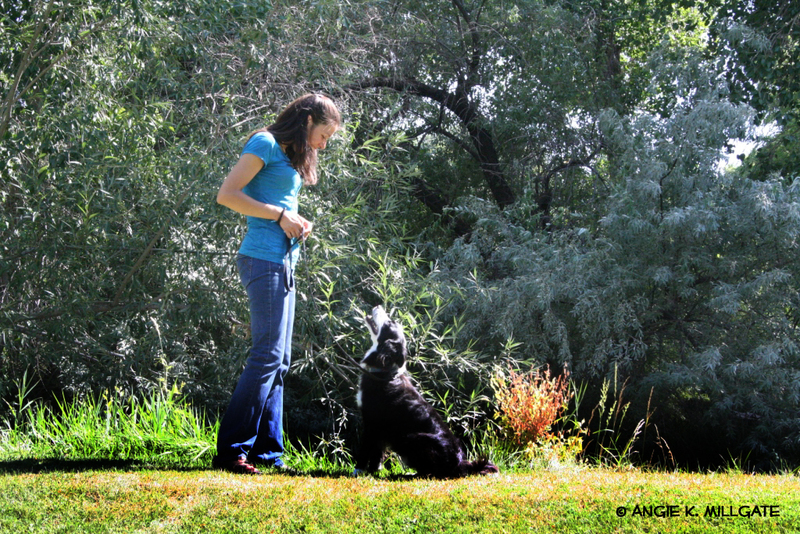 After working with Alyssa they got feedback on how to keep both dogs happy together. Penny learned that when Floki passed by she got treats so she became happy by the sight of Floki. 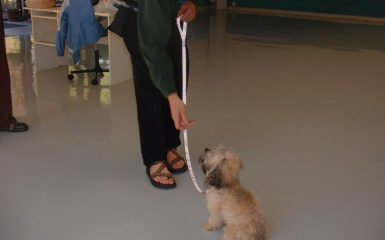 Both dogs learned that in order to get what they wanted they needed to exhibit good behavior. 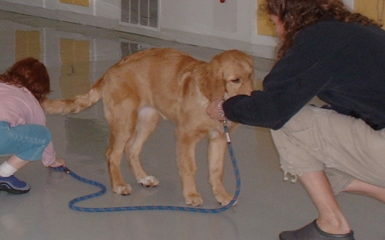 To teach this the owners did the Nothing in Life is Free Protocol. We are so happy to have worked with Floki and his owners in Salt Lake City. 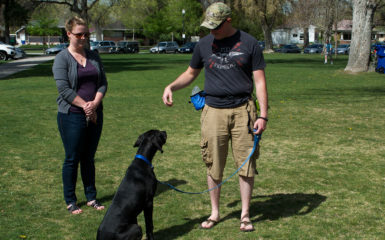 Dog training helped make Floki trust his new family. They are so much happier now.